Visit of a german CH-53GS in Switzerland. 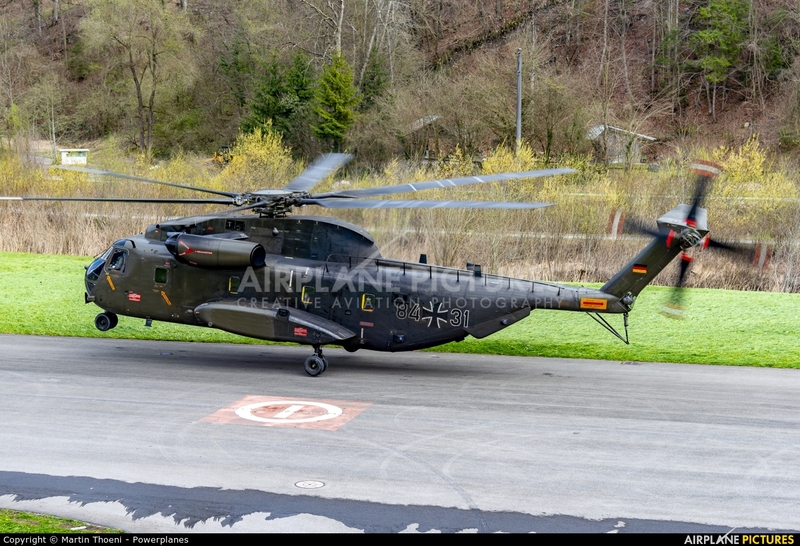 From time to time, the german air foce comes to Switzerland for some alpine flight training. This time was even more special, because one of the crew members had his 4000 flight hours jubilee. That was the reason for a shower by the airfield fire brigade.